We explore the reasons why cities should daylight rivers. Every city in the world has hidden secrets which lie beneath its tarmac, concrete or buildings. In many cities, these secrets come in one powerful form: underground rivers and streams. Some cities have recognised the potential to lift the lid off these watercourses and “Daylight” them. The results have been astonishing and have benefitted the natural, urban as well as the social environments. With this in mind, we thought we would highlight 10 reasons why more cities should do the same. 1. Reduce Flooding Many streams and rivers in cities have been forced to go underground in an attempt to remove stormwater as quickly as possible from the urban environment. This, however, often results in a flash flood during heavy rains as the underground systems become overloaded. By daylighting, the course of water can be retained, slowed down, and diverted, while at the same time reducing the risk of blockages at choke points. Thornton Creek, Seattle where a large paved parking lot with an underground pipe was restored to an open channel with four chambers that accommodate flood and filters sediment. Image courtesy of Peggy Gaynor, GAYNOR, Inc. 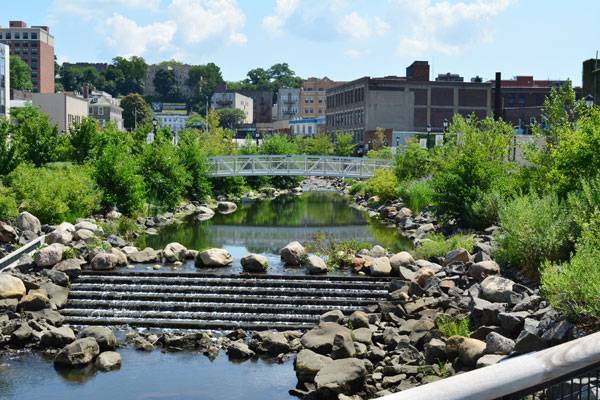 The Saw Mill River in Yonkers, New York, saw the transformation of a buried river into a natural river bed. 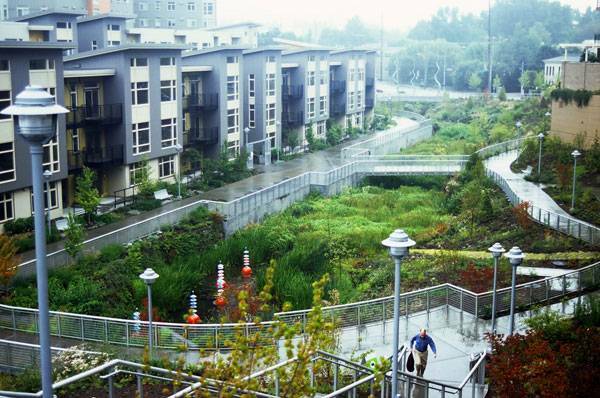 This new green urban park is now home to 8 species of fish and numerous birds. Image courtesy of Donna Davis/Ms. Davis Photography. 5. Create Green Corridors Daylighting rivers has the potential to unlock natural beauty in the heart of the city. Areas which were once hardened and lifeless can be transformed by unveiling the water beneath and re-introducing vegetation to create a green urban corridor. 6. Reduce Urban Heat Island Effect The Urban Heat Island Effect is the condition where extreme temperatures occur in the city due to radiation from hardened surfaces. Daylighting rivers and streams in cities has the ability to dramatically moderate temperatures. 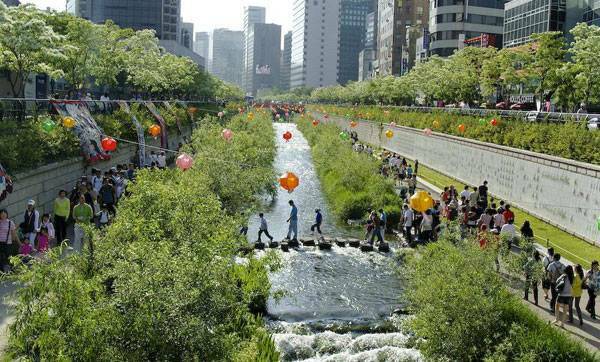 Cheonggyecheon River, Seoul by SeoAhn Total Landscape transformed a six-lane highway into a green urban waterway. This transformation has not only created an active urban park but has reduced temperatures along the stream by up to 6 degree Celsius. 7. 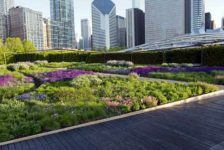 Provide Recreational Space Daylighting rivers has the potential to create new forms of urban recreational spaces which can range from a linear cycle and running routes to interactive spaces for children to connect with nature. Burgess Creek, Steamboat by Wenk Associations Landscape Architecture & Planning daylighted a creek, providing a new recreational space. 8. 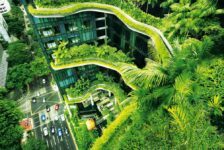 Drive Urban Regeneration The process of uncovering hidden waterways can completely transform an urban area from a dead hardened surface into a dynamic urban space. 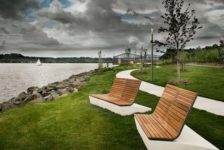 The result is an active public space where users connect with water, bringing life back into that part of the city. In 2013 SCAPE landscape architects won a competition to design a master plan to daylight the Town Branch Creek in Lexington. Their proposal was called “Reveal, Clean, Carve, Connect” and sought to create site-specific interactions which would transform the inner city. 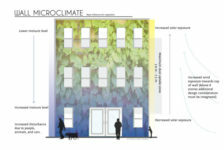 Image courtesy of SCAPE / LANDSCAPE ARCHITECTURE. 9. 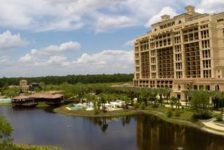 Economic Benefits While initial construction costs to remove hard encasements may be quite high, the future savings and economic benefits will far outweigh these costs. It is not only far cheaper to maintain a natural river compared to repairing culverts and channels, but, also, the urban regeneration along the water’s edge can provide dramatic economic benefits. 10. Connect to the Past In many cases, daylighting has unearthed some intriguing historic finds, buried beneath the layers of urban development. These findings play an important part in understanding the history behind a city and in many cases, the meaning behind the street and place names. In San Francisco a project called Ghost Arroyos has begun to draw on the history of the hidden streams. While the streams haven’t yet been daylighted, their presence has been highlighted through an art installation where the watercourse has been painted onto the urban surfaces. Image courtesy of Emily Schlickman and Kristina Loring. 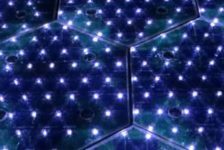 Will These Solar Roadways Change The World?